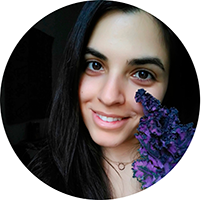 Today I am going to share with you my very first appetizer. I’d never thought about it but I just realized I never talk about/post appetizers and you know why? Because I never eat them! I feel that personally they spoil my appetite. Once I’m done with them I usually am not hungry anymore. Whenever I am at a restaurant (it happens very rarely) I sometimes order an appetizer because it’s a special occasion and I like being in a food coma afterwards, but on a typical day I’d rather just have one dish, usually cereals and proteins together. Anyway, here’s one, it’s a bit random I know but I felt like experimenting and I really liked the result! Hope some of you will find it interesting and give it a go. I think the different flavors go really well together! 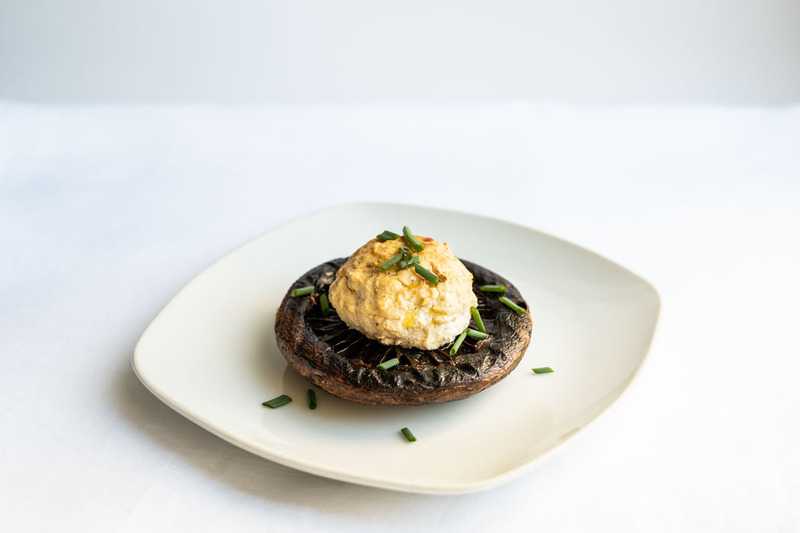 The night before, rub mushrooms with a few tbsp of soy sauce or coco aminos, then place in a tupperware, seal, and let sit in the fridge overnight. 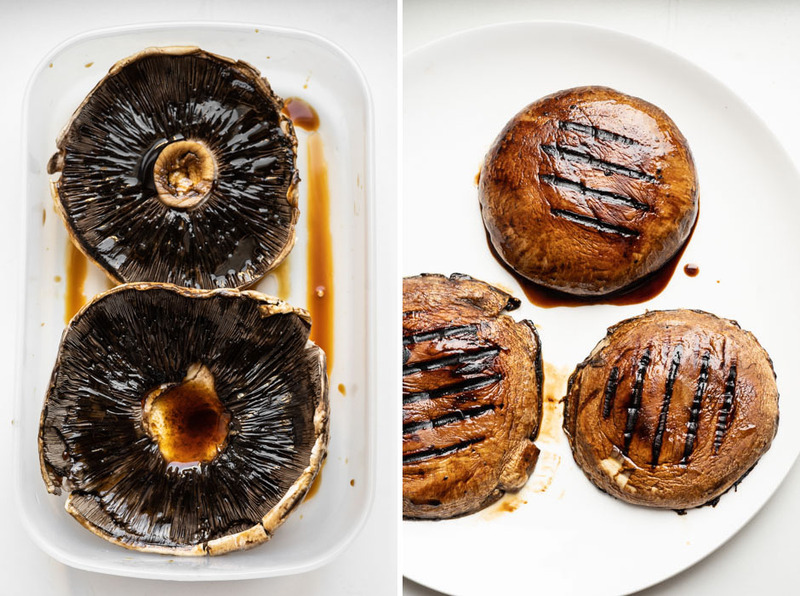 The next day heat up a grill pan, lightly brush with oil and, when very hot, cook the mushrooms about 5 minutes on each side. 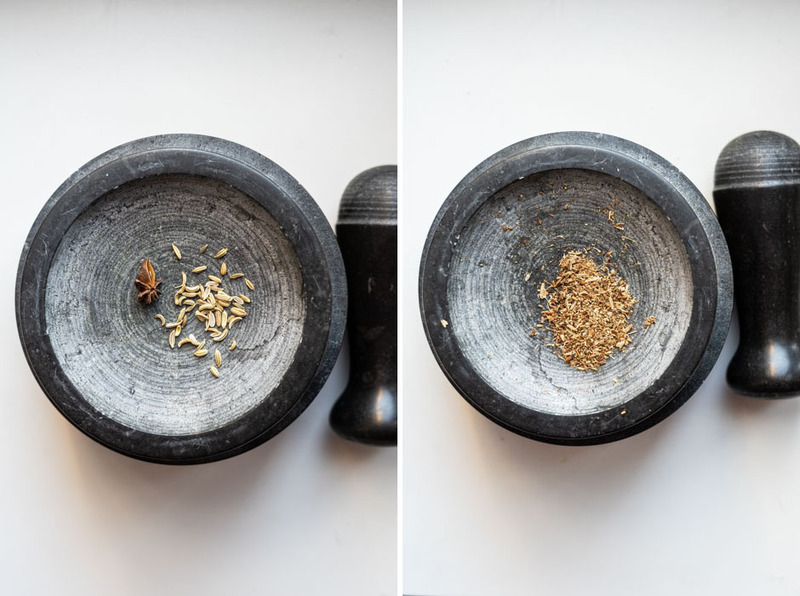 In the meantime crush the fennel seeds and aniseed with a mortar and pestle. Squeeze out any water from the tofu and blend together with ground fennel seeds aniseed, ½ garlic clove, 1 tbsp oil, a dash of sweet paprika and a pinch of salt. Turn on the grill in your oven. 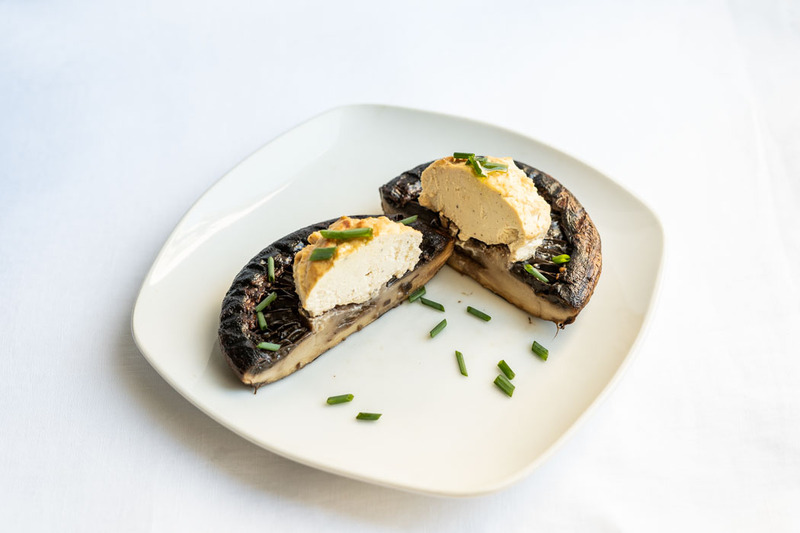 When the mushrooms are cooked, divide the tofu mixture into 3 parts and spoon them on top of the mushrooms. You can form little balls or spread them out. Brush with some of the remaining soy sauce/coco aminos. 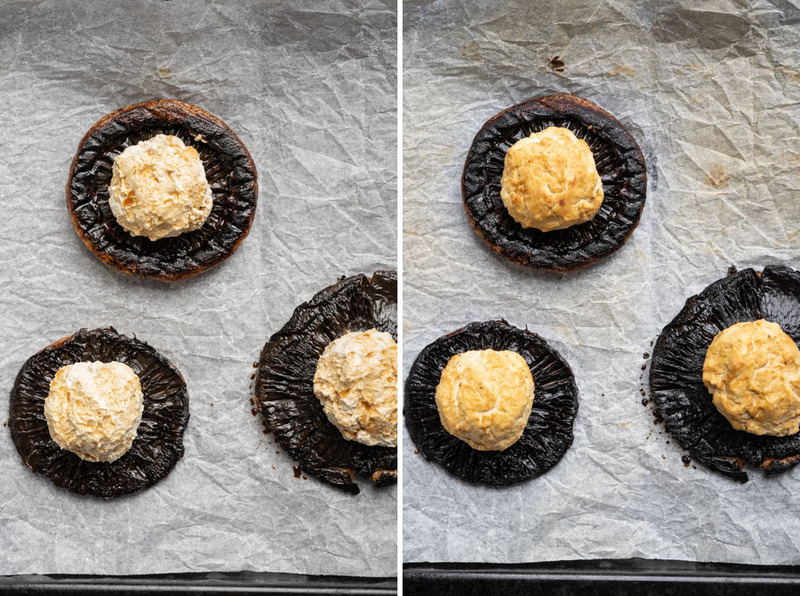 Place mushrooms on a tray in the center of your oven and grill them for about 10 minutes, until slightly golden. Let cool before serving. Sprinkle freshly chopped chives and a drizzle of olive (or sesame) oil. Store leftovers in the fridge, take out about an hour prior to serving and enjoy at room temperature.